T.G.Green & Co. first produced Cornishware in the 1920s. The distinctive blue and white banded pottery owes its name to an employee who said it reminded them of the blue sky and white-crested waves of Cornwall. 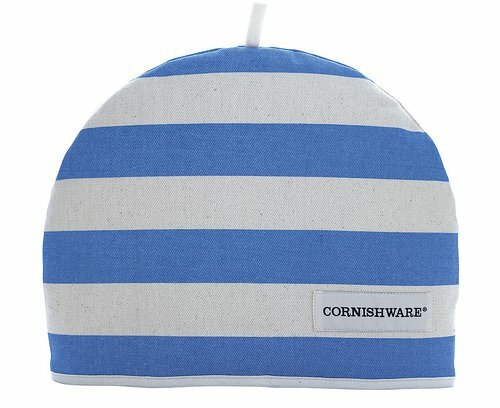 Our aprons, tea towels and oven gloves make the perfect partners to any Cornishware collection. Size; 35 x 27 cm/14 x 10.5"
If you have any questions about this product by T&G, contact us by completing and submitting the form below. If you are looking for a specif part number, please include it with your message.